Argentine President Cristina Fernández has used the Russian annexation of Crimea to repeat the tired argument the Falkland Islands, called the Malvinas in Argentina, are rightly part of her country, but using her reasoning a part of Argentina should be Chilean property. This is just another attempt to avoid the subject of her foolish economic policies that are ruining the Argentine economy. A year ago the Falkland Islanders themselves voted they want to remain a colony of Great Britain. According to Reuters there were three votes “no” against over 1,500 “yes.” Fernández believes they have no say. “What is the value of a referendum in an overseas colony that is 14,000 kilometers from the United Kingdom?” Fernández said. It seems that distance should actually make the referendum more relevant. It must be a very important relationship to bridge that divide. 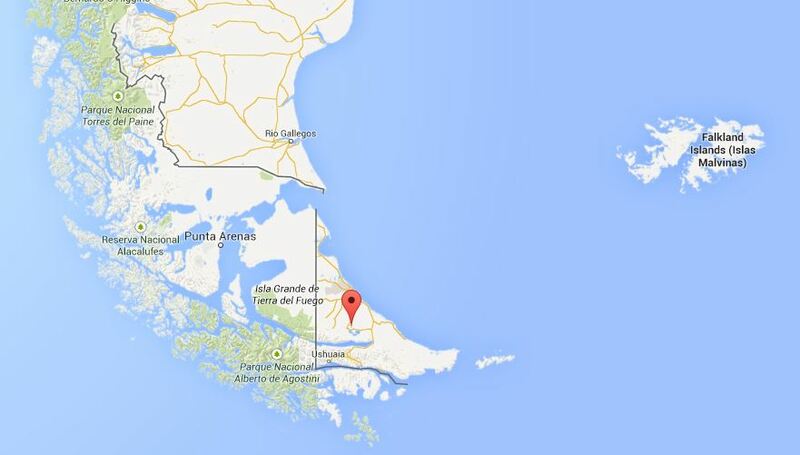 If distance is an issue then the southernmost tip of Argentina should be part of Chile. The Straight of Magellan cuts off Argentina’s portion of Tierra del Fuego from the rest of Argentina, but the area is connected to Chile. If Fernández is actually in favor of territorial integrity Argentina must cede its portion of Tierra del Fuego to Chile. I hate to call her at this hour, so I’ll just assume that’s not going to happen. And perhaps Fernández should consult a map to see the Falklands are 300 miles from Argentina, so territorial integrity is not an issue. The Falklands were not even settled by South Americans, but by the French, who were replaced by the Spanish, who were replaced by the British. Argentina claims it acquired title from Spain upon independence. By that argument it could lay claim to other former Spanish possessions in the region. Watch out Chile. Deciding from a legal standpoint which nation has rightful ownership would be like a probate court attempting to sort out a vague and convoluted 250-year-old will, with the entire estate going to only one of two extremely distant relatives. To argue the islanders’ vote to remain British subjects doesn’t matter is imperialist. Their vote is all that matters. Even if Argentina’s claims were airtight, trying to right all the wrongs from previous centuries would involve putting, if Wikipedia is correct, 97% of Argentines back on boats bound for Europe and turning the nation over to indigenous peoples. Again, I’ll assume that is not in the offing. Argentina should be alarmed that natives of an island so close would almost unanimously rather be part of a nation nearly 9,000 miles away. Who can blame them given the South American penchant for redistributionist, inflationary policies that cause their leaders to spend half their time cursing non-existent colonialism and the other half asking for bailouts? Given Argentine history, who in their right mind would choose to associate economically and politically with Buenos Aires? Since Britain has expressed support for the islanders right to self-determination – Argentina refuses to recognize that fundamental international principle — if Fernández would switch to an economic model that values individual rights, freedom and markets, the Argentines would be in a better position in a generation to win the islanders’ consideration. Politicians are not known for their long-term concern. Thoughts, comments or criticism are welcome.